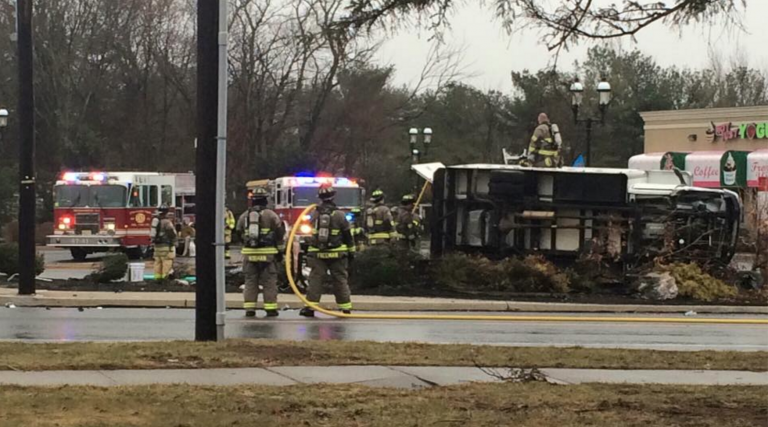 A portion of Route 9 in Stafford is closed this afternoon due to a motor vehicle crash. Shortly before 2 p.m., a truck overturned just north of Bay Avenue, resulting in a fuel spill, according to emergency radio transmissions. A hazardous materials unit is on the scene to clean the substance. A release from the Stafford Township Police Department states the Route 9 is closed between Bay Avenue and Hilliard Drive due to downed wires and poles. Police say a detour is in place and to expect delays through the evening commute. AC Electric is reporting slightly over 1,000 customers without power in the area and estimates restoration by 4:00 p.m.